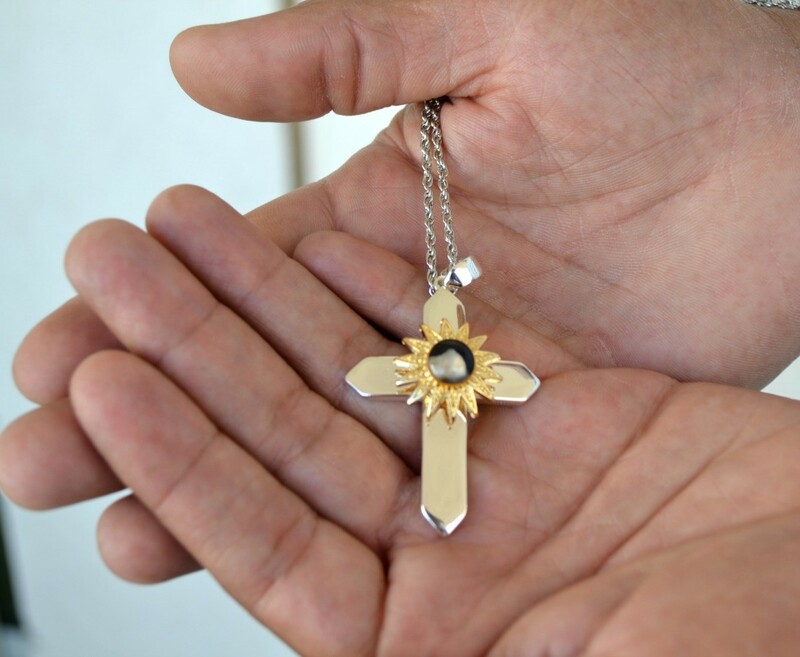 The New Day Cross is a limited edition cross. A true stunner that will ignite your faith in Christ! 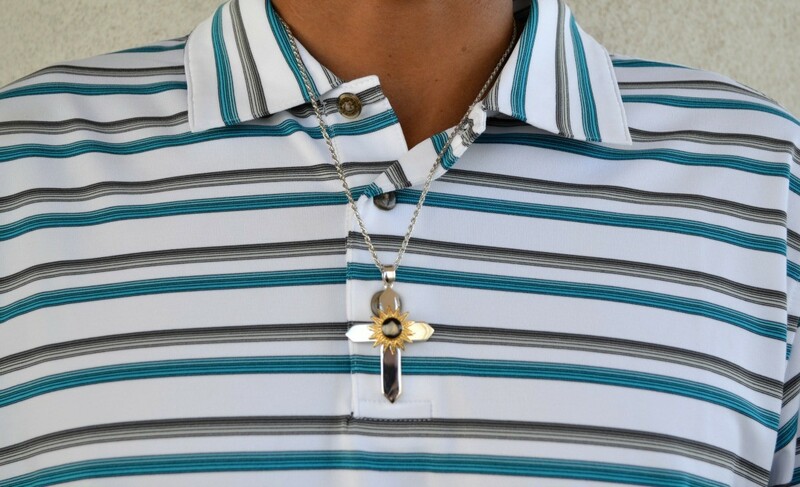 This lovely Christian design features a versatile 2-tone cross finished in silver with a 14 pointed star representing Jesus' birthplace in the Manger room finished in 18K gold. 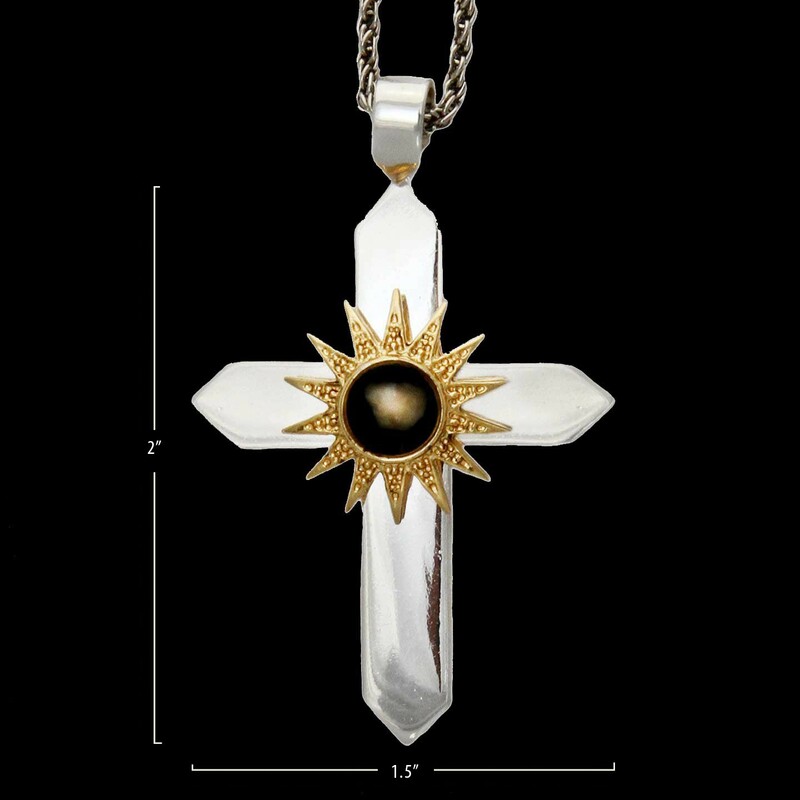 Layered in Silver with 14-Pointed Star finished in 18K Gold: 2"x1.5"